Inspired by the Wildlife Photographer of the Year competition, Middle School ran its own photography competition as part of our thinking skill of “Focus” last term. 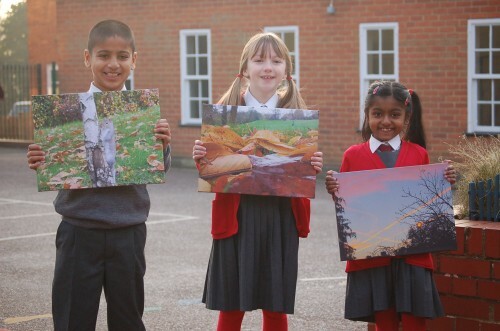 On the theme of “Winter is coming”, children were asked to take a picture of the local area or local wildlife that showed the change in season. With over forty entries, the competition was keenly contested and selecting a winner was no easy task. However, three favourites began to emerge and congratulations go to Ishani Tailor (Year 3 winner) Adam Virani (Year 4 winner) and Elita Ridgway (Year 5 winner). The winning entries have been reproduced onto canvas to create beautiful pieces of art. Our thanks to printed.com who donated the prizes.